The meeting comes amid rising issues with Pratt & Whitney engine-run A320neos, with the country's largest airline IndiGo experiencing the most number of incidents, forcing it to ground planes on several occasions. In the most recent such development, the recurring glitches on the P&W-powered Airbus planes have forced the Wadia group-run budget carrier GoAir to ground as many as seven A320 Neos, a source said Monday. The civil aviation ministry is set to hold a review meeting on Tuesday with officials from IndiGo, Airbus and Pratt & Whitney to discuss the ongoing issues involving A320neo aircraft, multiple sources aware of the matter told CNBC-TV18. In June 2017, the management of IndiGo was confident that all teething problems involving A320neos would be resolved by engine manufacturer P&W in 12-18 months. However, 18 months later, the problems still persist. On January 3, IndiGo flight 6E 923, operating on Chennai-Kolkata route, returned to Chennai shortly after the take-off due to a technical glitch. While the airline maintained that there was no engine shutdown, sources said that the aircraft witnessed unusual vibration and a loud noise. This was just three weeks after an A320neo of IndiGo made an emergency landing at Kolkata airport following reports of suspected smoke in the cabin. The video footage of 6E-237 flight was captured by passengers showing disturbing visuals of smoke in the cabin and then emergency evacuation of some passengers via slides at the back of the plane. These issues are likely to be taken up at Tuesday's meeting but it remains unsure if the ministry will go as far as grounding of all A320neos or will just leave it at a warning. This is not the first time that the government has decided to intervene in the issues surrounding A320neo operations in the country. In March 2018, the ministry called for a similar meeting of all stakeholders after the Directorate General of Civil Aviation grounded 11 Airbus A320neo aircraft of IndiGo and three of GoAir, following warning of a potential "dual-engine" in-flight shutdown or complete engine failure in a sub-category of A320neo engines manufactured by P&W. Right since its induction in March 2016, A320neos have been a cause of concern for IndiGo, be it delay in delivery, issues revolving cooling down and start-up time of the engine, reliability, combustion chamber lining, oil seal, fan blades or combustor chamber. A new engine is bound to come with some teething problems but P&W engine-powered A320neos are showing more problems than a CFM-powered A320neo, an industry expert said. If the problems persist, IndiGo always has the option to opt for CFM LEAP-X engine for the remaining 280 A320neos. As per official statements, it has selected P&W engines for the first 150 only. "It will be a good opportunity for us to compare the actual operating performance of two engines before we decide on the engine choice for the remaining 280 aircraft that we have on order with Airbus," IndiGo's management had said in April 2016. 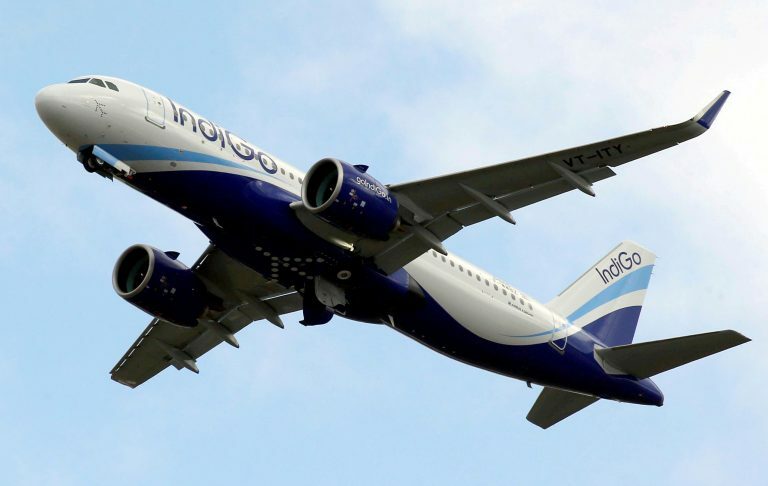 It is important to recall here that these aircraft are extremely significant in the domestic aviation space as not only is IndiGo, the largest client of A320neo with a combined order of 430 such aircraft, but also GoAir's order-book of around 144 such planes, half of the country's incoming planes, are of A320neo make.